To be honest, I don’t really like salads much. But this one is bomb! Salads are a easy meal and can basically be made with anything you have in the fridge. Eat this as a light lunch, or pair it with more protein for sustenance. 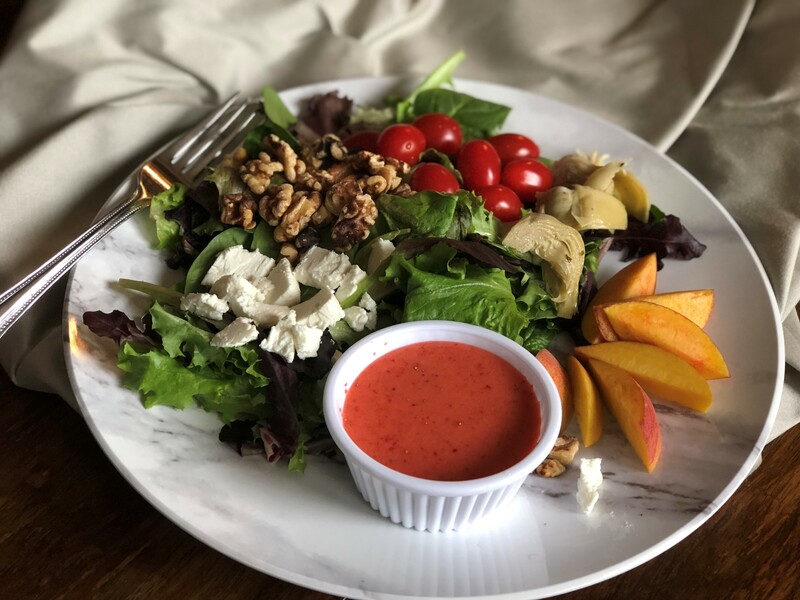 With the toasted walnuts and strawberry vinaigrette, I can eat this every day! The Good in this? – Literally, everything! Combine all ingredients for dressing in blender until smooth. Toss with ingredients of salad and serve!